NICOLE RICHIE NEWS: Nicole Richie & Joel Madden are officially married! Nicole Richie & Joel Madden are officially married! It's official the Richie-Madden duo are now husband and wife. On December 11th 2010 the couple held their big day at Nicole's father's Beverly Hills mansion. According to gossip website's the second biggest attraction at the Richie-Madden wedding was a trained elephant! E! Online states that Nicole Richie wore a Marchesa gown which was custom made for Nicole herself. Samantha Ronson arrives at the Richie-Madden wedding. Stylist Rachel Zoe and husband Rodger arriving. Food caterers preparing the food. 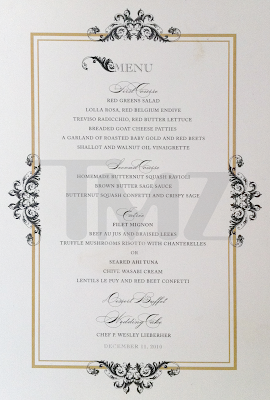 The menu at the Richie-Madden wedding. 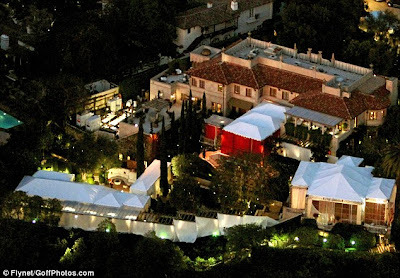 Panoramic shot of Lionel Richie's garden which was transformed into a beautiful outdoor wedding area. 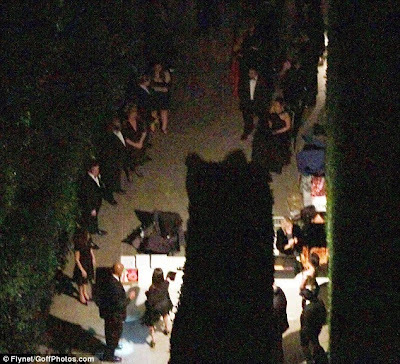 One of the biggest attractions at Nicole Richie and Joel Madden's wedding was a beautiful Elephant! The Elephant wore a jeweled headpiece similar to Nicole Richie's House Of Harlow 1960 headdresses! Click here to see a video of the Elephant preparing to enter the Richie-Madden wedding, pretty amazing! Benji Madden took the role of best man and Samantha Ronson was one of a few bridesmaids. 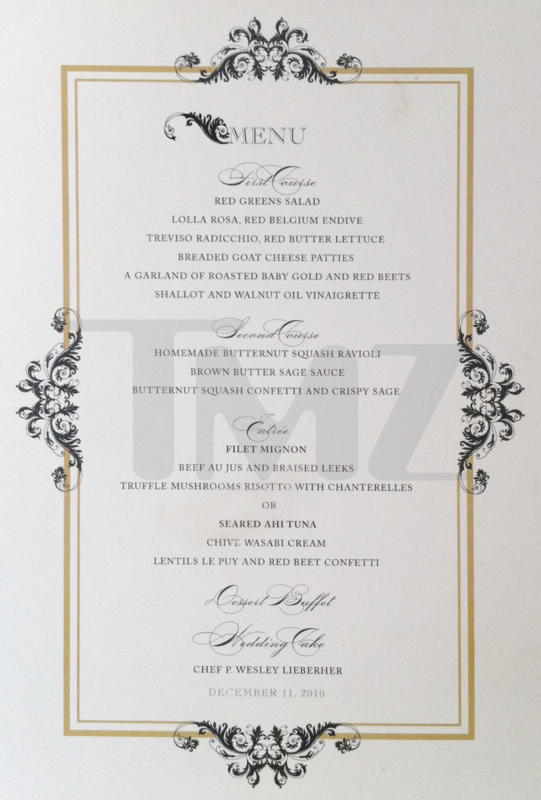 I am taking a wild guess that Nicole's long time friend Masha Gordon was chief bridesmaid. As soon as more pictures appear I will be sharing them directly on here, I am just dying to see Nicole Richie's wedding dress. Img credit - dailymail & tmz. Can't wait to see pictures of her! She must've looked so pretty! ... <3! I too can't wait to see Nicole's "elegant" Marchesa wedding gown! Congratz to both of them! !